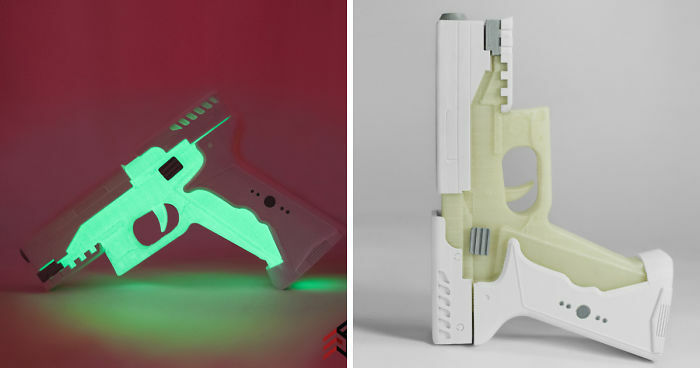 Since we don’t have thermoptic filament yet I made this replica pistol using glow in the dark 3D Printing materials. After printing the parts, I sanded and assembled them to look as accurate as possible. I hope you all enjoy!